Trump's withdrawal from the Iran nuclear deal was the wrong decision in the wrong time. It is likely to compound global political, economic and security risks. Now EU must sustain the nuclear deal, along with Russia and China. Iran’s recent volatility reflects US effort to undermine the nuclear accord as Iran is amid economic transition and increasingly looking toward the East. At the end of December, a series of protests against economic policies erupted in Iran. As they spread, their scope expanded to include political opposition against the government. As President Trump tweeted his support for the protesters and criticism of the government, pro-government marchers filled the streets. Iran: Part 2. 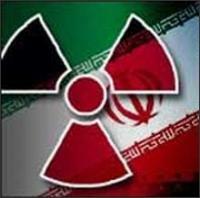 Iran: The Last Century to the Present is a sequel to the first part of this report on Iran. The reading of both parts is necessary for a more complete understanding of how Iran has evolved to its present media perceived status in the world, and how reality diverges from popular perceptions. Part I, traces historical events which have shaped Iran’s evolution and development from its great Persian empire of over two thousand years ago to those taking place in the 20th century. Part I, traces historical events which have shaped Iran’s evolution and development from its great Persian empire of over two thousand years ago to those taking place in the 20th century. Over the last several decades Iran has been labeled by the United States a terrorist state, a state that needs to be restricted or otherwise controlled. Consequently, Iran has been under frequent, broad and severe sanctions over the last several decades, whereby it was impeded from selling its oil to generate revenues, and foreclosed to use the SWIFT system of international money transfer. It is a state, according to the international community, which cannot be permitted to develop nuclear arms. President George W. Bush identified Iran as part of a global axis of evil. More recently President Trump has noted on his recent trip to the Middle East that Iran “is the biggest sponsor of terrorism, and that Iran must never be allowed to possess a nuclear weapon”. He called on “all nations of conscience to isolate Iran”. Iran is threatened by Israel and America’s regional military presence. In areas around the Persian Gulf, it has bases in every country except Iran - plus numerous others in North Africa and Central Asia. BY KAMRAN BOKHARI : There is a great deal of noise over the fate of the Iran nuclear deal which we wrote about last year. It is going to be very hard to roll back the agreement announced a year ago. Thus, it’s unclear what Trump can do to limit Iran’s benefits from the respite in sanctions. The issue is not a nuclear Iran or one with ballistic missile capability, but rather an economy that is improving because of the nuclear deal. On Wednesday, Trump’s National Security Advisor Michael Flynn irresponsibly lashed out against Iran’s recent legitimate ballistic missile tests. MoneyMorning.com Dr. Kent Moors writes: Years ago, when I was doing monthly analysis on Iran's oil and gas industry, one of the biggest quandaries was trying to make market sense out of what came from the leadership in Tehran. Well, the past 72 hours and the July 14 Iran nuclear deal have brought me back to those days. MoneyMorning.com Dr. Kent Moors writes: Years ago, when I was doing monthly analysis on Iran’s oil and gas industry, one of the biggest quandaries was trying to make market sense out of what came from the leadership in Tehran. Since Hassan Rouhani assumed the presidency of the Islamic Republic of Iran in August of last year, the economic outlook for Iran has improved. When Rouhani took office, he promised three things: to curb the inflation which had become rampant under Mahmoud Ahmadinejad, to stabilize Iran's currency (the Rial), and to start talks to potentially try and end the sanctions which have battered Iran since 2010. Rouhani has delivered on each of these promises. From this, one might assume that the Iranian economy, and the Iranian people, are headed towards better times. I have been saying for years that we should just talk to the Iranians. After all, we talked to the Soviets when they actually had thousands of nuclear missiles pointed at us! The Iranians have none, according to our own intelligence services. I even suggested a few years ago that we should "offer friendship" to them. Unfortunately, so many so-called experts have a stake in keeping tensions high and pushing us to war. They did not want to hear what I was saying. It seems, though, this is beginning to change now with these recent events. Iran’s Guardian Council announced yesterday that former president Ali Akbar Hashemi Rafsanjani has been barred from Iran’s presidency poll—reportedly due to his old age and debilitating health. In recent weeks, speculation over a Rafsanjani comeback bid had spurred some optimism among Iranians who recognize that their broken economy desperately needed a jolt. Some Iranian voters have described him as a “master of the economy” and the solution to their economic woes. However, a closer look at Iran’s misery index shows just how fatally flawed this perception is. For months, I have kept careful tabs on the black-market exchange rate between the Iranian rial and the U.S. dollar. This is the metric I used to determine that Iran underwent a brief period of hyperinflation, in October 2012. And, using these data, I calculated that Iran ended 2012 with a year-end annual inflation rate of 110%. New York, New York: Sometimes, major media is the last to recognize, shifts in policy positions. Iran is a case in point. Dr. Kent Moors writes: My meetings and media interviews continue here in London. But this morning I want to fill you in on one of the more interesting briefings I have ever held. 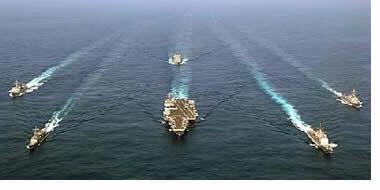 A strike on Iran, however limited, would push the current internal power struggle to a premature end that would not be in the US' best interests - that is the message, whether intentional or not, of the recent "intelligence leak" that has provided the Obama Administration with justification for standing down with regard to Iran. Bill Van Auken writes: The military commands in both the US and Britain have sought increased funding and stepped up deployments of arms and personnel to the Persian Gulf in preparation for an anticipated war against Iran. According to the Wall Street Journal, the Pentagon, acting on the request of the Central Command, which oversees US military operations in the region, has requested the re-allocation of some $100 million in military spending to ratchet up war preparations. While developed countries continue to print their money as fast as they can to overcome the debt crisis, investors turn their heads to the East. The West introduced sanctions against Iran, but it appears that the Islamic Republic is capable of throwing the world economy into deep crisis. The European consumers of Iranian oil shudder at the thought that Iran may block the Hormuz Strait in response to the economic sanctions from the West. If it happens, all the efforts aimed at overcoming the financial crisis, will be wasted in an instant. The TV series House of Lies is about business but it could as easily be about government and foreign policy. In a recent episode, one of the management consultants pitches a company about the need to launch a new product. She recounts the story of the Polaroid Company known as the Apple of its day, widely admired for the cool design of its instant cameras. All signs coming out of Washington, London, Paris and Tel Aviv are pointing towards a pre-emptive military strike against Iran in 2012. But a number of key indicators are also pointing towards an unsuccessful, unlikely operation, whose failure could result in a military and economic tailspin from which the United States and Israel are unlikely to recover. One might think the US and EU would have enough economic problems already to risk oil soaring to stratospheric heights by an embargo of Iranian oil. Unfortunately, common sense never gets in the way of bureaucrats and fools or their foolish missions. Iran has released video footage of the most advanced US reconnaissance drone which was downed by the Iranian Army in the eastern part of the Islamic Republic earlier this week. On Sunday December 4, the Iranian Army's electronic warfare unit downed the US RQ-170 Sentinel stealth aircraft which was flying over the Iranian city of Kashmar, some 140 miles (225km) from the Afghan border. Last weekend the Pentagon lost communication with 50 intercontinental nuclear warheads, it was made public after a former US Air Force officer tweeted the news. This mistake happened as members of the Obama Administration have been preaching about the importance over safe and secure nuclear programs. Michel Chossudovsky the Director of the Center for Research on Globalization believes the worst case scenario is when politicians are threatening to use these weapons in conventional warfare. Tehran writes: Iran’s nuclear chief announced beginning of a massive operation to explore for uranium located in central and southern parts of the country, areas presumed to hold large quantities of the said element. Ali Akbar Salehi, Director of Iran’s Atomic Energy Organization (AEOI), told reporters the country seeks to fulfill its long-term commitments in uranium mining and reach self-sufficiency in that field. ‘We have divided the country into several regions and in each one we are doing some research. But most of our exploration activities are being conducted in the central and southern parts of the country,’ MNA quoted Salehi as saying. Tehran writes: Iran has so far produced 30 kilograms of 20 percent enriched uranium up until now, according to the country’s top nuclear official. In a surprise announcement Ali Akbar Salehi in an interview with Iran’s Press TV on Wednesday said all the efforts are aimed at nuclear sufficiency in production and exploration. INCIDENT: Sources in the Gulf region report that Iran is preparing for a possible attack by Israel and/or the United States on one or more of its nuclear production units by stockpiling arms and munitions with its proxy militias in Kuwait and Bahrain. This comes as Bahrain arrests 23 opposition leaders accused of terrorism offences and hints that Iran is behind an alleged plot to overthrow the government. As the Iranian government continues to resist American political pressure to abandon its nuclear program, the United States and her allies have once again turned to economic sanctions as a method of enforcing their will — or, at least, so they intend. 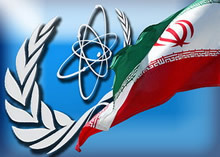 On June 9, 2010, the United Nations Security Council passed Resolution 1929, which, among other things, bans the sale of armaments and the provision of military training to the Iranian military, and prohibits travel for certain blacklisted Iranian citizens. Unsatisfied, the United States and the European Union intends to enact even tougher economic sanctions of their own in the near future. Even worse, these are only additions to sanctions that have existed since the Revolution of 1979. Rick Rozoff says that the US and NATO are tightening the military noose around Iran. The United States has made many moves, including placing land-and sea-based interceptor missiles in the Mediterranean. In addition, NATO has increasingly been deploying its deputy secretary to the United Arab Emirates, possibly to lay the groundwork for a military strike against Iran. It has been revealed that hundreds of powerful U.S. “bunker-buster” bombs are being shipped from California in the U.S. to the British island of Diego Garcia in the Indian Ocean in preparation for a possible attack on Iran. Although Diego Garcia is part of British Indian Ocean Territory, it is used by the US as a military base under an agreement made in 1971. The agreement led to 2,000 native islanders being forcibly evicted to the Seychelles and Mauritius. U.S. lawmakers are toughening their stance on Iran's energy industry with new economic penalties, but experts doubt the Islamic regime will pay much attention and is more likely to open the doors even wider to other players eager to replace fleeing investors. Does anyone remember all the lies that they were told by President Bush and the "Main Stream Media" about the grave threat to America from weapons of mass destruction in Iraq? These lies were repeated endlessly in the print and TV media despite the reports from the weapons inspectors, who had been sent to Iraq, that no such weapons existed. In the run-up to Iran's June 12 presidential election, early indications suggested the media's reaction if the wrong candidate won. On June 7, New York Times writer Robert Worth reported "a surge of energy (for) Mir Hussein Mousavi, a reformist who is the leading contender to defeat Mr. Ahmadinejad (and) a new unofficial poll (has him well ahead) with 54 percent of respondents saying they would vote for him compared with 39 percent for Mr. Ahmadinejad." No mention of who conducted the poll, how it was done, what interests they represented, or if Mousavi winning might be the wrong result. More on that below. Reza Fiyouzat writes: Much furor is being expressed by all sides, foreign and domestic, regarding the outcome of the 2009 Iranian presidential elections held on June 12. The rapid announcement of the total results in a mere few hours after the closing of the polls, came as a shock to the supporters of Mir-Hossein Mousavi, the main 'reformist' challenger to Ahmadinejad. Since then, there have been massive spontaneous demonstrations in Tehran as well as in other major cities, such as Shiraz, Tabriz and Rasht. At least one person has been killed in the clashes between the police and Mousavi supporters. Bill Van Auken writes: Over 100,000 people demonstrated Monday in the streets of Tehran against the results of last week’s presidential election as the US and the major Western European powers intensified their own demands for an investigation into the opposition’s charges of vote-rigging. Iran is standing on the verge of chaos after sitting President Mahmoud Ahmadinejad won the first stage of the presidential election in the country on June 12. His three rivals received less than a third of all votes, which triggered massive riots across the nation. Mir-Hossein Mousavi, who obtained 33 percent of the votes cast, stated that the election had been totally fabricated. Two other candidates - Mohsen Rezaee, former Commander of the Iranian Revolutionary Guard, and Mehdi Karroubi, former Speaker of the Majlis, - said that they would support Moussavi in his endeavor to revise the election results. For nearly 30 years, long before it was a charter member of the "Axis of Evil," Iran and the US have been locked in a hate-hate relationship. Walk down the street any Friday afternoon, and you're as likely to hear "Death to America!" as "Hi Ali, how are you?" Three decades of animosity, an externally opaque society, and no trade relations between the two countries mean that many of us have just the barest understanding of what's really going on over there. But whether it's a negotiated settlement with the US over Iraq, or a war-risk premium for crude oil, to threats and counter threats with Israel and the US, Iran's decisions have enormous impact on the global economic system. All of the sudden, the picture of the "mad mullahs" you get from the papers seems expensively inadequate. The first incident happened 8km from Alexandria in Egypt, which involved 2 cables apparently alongside each other. According to initial reports, the cables may have been "snapped" by a ship´s anchor. Are you ready to go to war in Iran ? That has been a popular topic for quite some time. 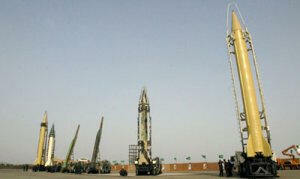 It has been believed that Iran is building the capacity to produce nuclear weapons. Can't have that. They'll have to be knocked out with conventional weapons and bunker busters. This subject of possible war has brought on so great speculation both pro and con. Mark to Model or Mark to Market? Is the subprime mortgage market collapsing before our eyes, or did we avoid a disaster as Bear Stearns stepped up to the plate with $3.2 billion to help its ailing funds? As we will see from the data, the problems in the subprime world are not over. The Fat Lady has not sung. But will the problems in this market contaminate the rest of the liquidity-driven markets? Is the party over? Not according to the high-yield markets. In this week's letter, we look at what could be the real problem in the next half of the year. In a swift turn of events, the Ministry of Defence has reversed its decision to allow the released British soldiers / personnel from selling further stories, after mounting negative response to the TV and press stories sold for six figure sums. Des Browne (Defence Secretary) announced - "No further service personnel will be allowed to talk to the media about their experiences in return for payment." and stated that a 'review of regulations' would now take place following outrage from all sections of the public. The 15 British Navy personnel that were released by Iran on Thursday have been given the green light to sell their stories to the media. It is likely that some stories could sell for more than ten times their annual salaries. 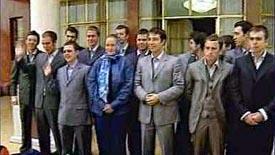 Especially from the only woman captive, Faye Turney, who is expected to earn the most. The ongoing situation with Iran is hugely gold and oil bullish right now, and will be for the coming months. 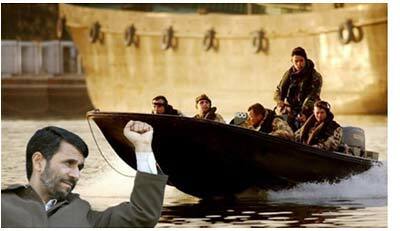 The recent statement by Iran that they will free the British naval hostages is just one detail. It solves nothing fundamental. First of all, before I discuss why, I want to comment on several emails I got about my views that Iran is going to be attacked. The comments went along the line: ‘the US is too tied down in Iraq, won't even think of another war..' etc. I disagree. 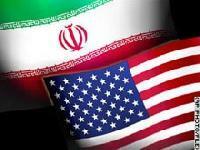 So let's get into the reasons why there is likely an attack on Iran…. On the eve of the next war front to explode in the Persian Gulf region, some thoughts on the energy sector seem appropriate which attempt to tie some factors together. In the last two to three years, the biggest challenge to analysts is not so much identification of certain relevant effects, as it is integration of analysis on a several simultaneous patently clear crucial factors for correlation. To friends an assessment has been often used by me, “This is five dimensional chess, and at any one time, three dimensions are dominant. All are linked increasingly and with more complexity. The challenge is to finger the most important pairs of factors.” That covers it in my opinion. The tight relationship between the crude oil price and the USDollar valuation is historically well known, firmly in place for over three decades. While the United States owns control of the world reserve currency, a delicate PetroDollar linkage factor remains in force. Since large oil purchases are conducted in US$-based transactions, entire banking systems are designed accordingly so as to handle those transactions. First, with rare exceptions, my indicators on the U.S. markets are turning south. It appears that my warnings are coming to pass — investors are finally starting to notice weak real estate markets, too much debt in the country, peaking corporate earnings, and the weak dollar. So don't be surprised one iota if U.S. stock markets start to yo-yo like crazy, or even fall sharply. Second, in direct contrast to the U.S., and despite all the scary things you're hearing, Asia is booming . There's been no change in the spectacular fundamentals underlying China, India, Singapore, Vietnam, Malaysia, or Indonesia. All of these countries are exploding with economic growth. Their stock markets, while a bit more volatile right now, are in strong long-term bull markets . Iran flexed its muscles following Iran's objections to the UN Security Councils declaration of 21st Feb concerning Iran's nuclear programme, by launching a rocket into sub-orbital altitude. Iranian State television reported that the rocket had achieved an altitude of 94 miles before falling back to earth. The internationally recognised boundary between the atmosphere and space is some 65 miles. No one has done more to expand Iran’s power in the region than George Bush. He routed the Taliban in Afghanistan in 2001 and then toppled Saddam and the Ba’athist Party in 2003. Both of these were the traditional enemies of the Islamic Republic. Now Bush has installed Iranian-backed warlords in the Green Zone and delivered the country to the Shiites.